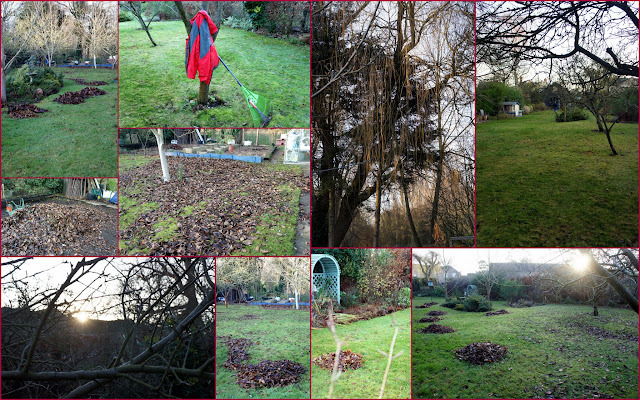 Back from raking... it was amazing how many leaves there still were but its a good job done and I am pleased to have had the exercise and fresh air. I started off in a coat and neck warmer, and ended up in just my t-shirt and cardigan. Everything looks very tidy in your garden. I don't enjoy raking, but I always tell myself it's good, free exercise. No need to pay a gym membership! You have such a large yard! I'm green with envy! We have no green space to rake. The cowl is beautiful! It would be lovely to have one in every color. Great neck warmer! Isn't it a nice feeling to get the yard tidied up before winter sets in? You are good, raking up leaves. We leave ours, as part of our wildlife garden ethic. But then our garden isn't as big as yours and the leaves look part and parcel of the mess. Love the neckwarmer, especially as I need to wear them. I really must start opening and reading my copies of Simply Knitting. I subscribe but never have the time to look.